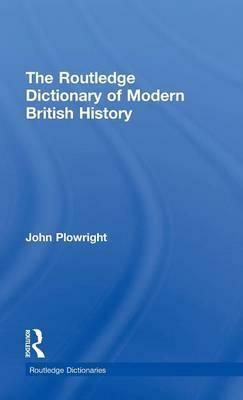 From the Romantic age to the twenty-first century, The Routledge Dictionary of Modern British History is an essential guide to 250 years of history that have seen `this sceptr'd isle' rise, fall and rise again as a major world power. historic turning points from the Great Reform Act to the Poll Tax riots. An important and user-friendly resource, this comprehensive reference is ideal for A-Level students and first year undergraduates, as well as anyone interested in the history of the United Kingdom.